Lots of activity today at the feeder. It's finally cold here this year. Today I had to keep reminding myself that it's only February. Strong winds too. The birds must know something we don't. I never see bluebirds come to a regular feeder. Wow! Here they stick to mealworms and other bugs. Awesome catch of their angry interaction! 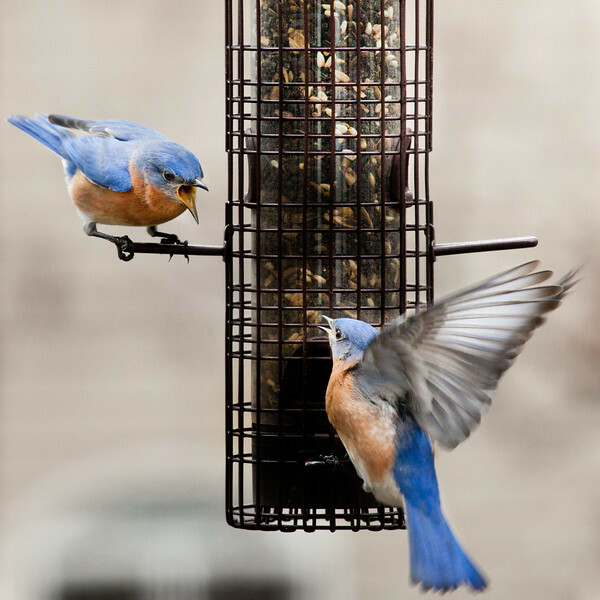 Great capture; I've never seen bluebirds at a feeder before.